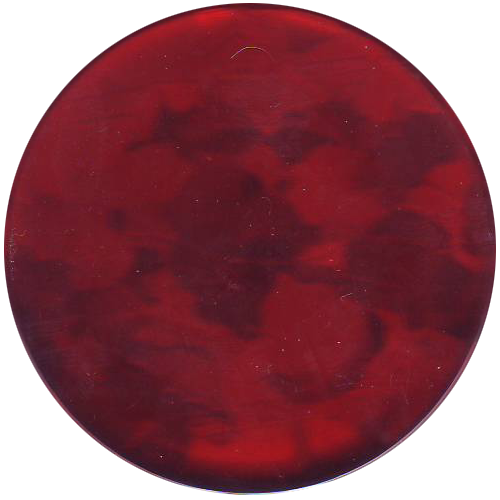 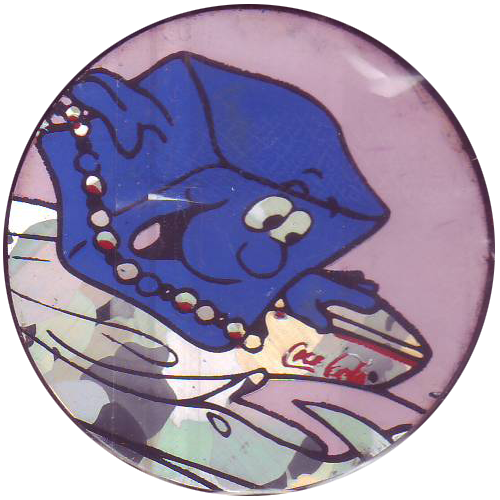 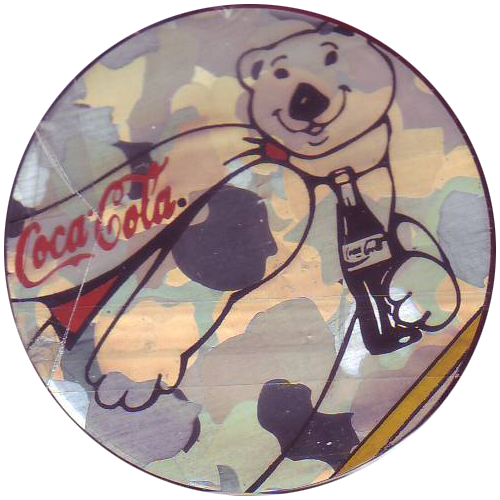 Info:These Slammers accompanied the Series 3 set of the Collect-A-Card Coca-Cola Collection pogs. 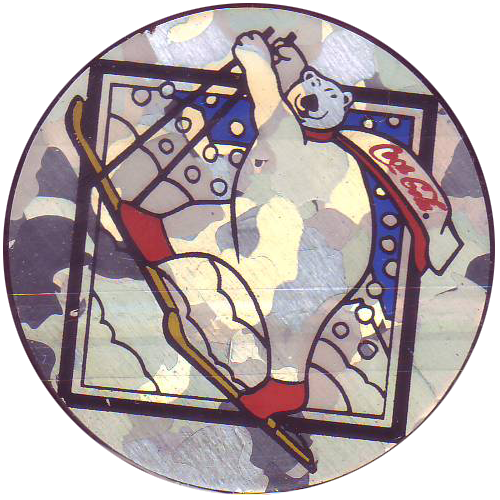 They are made from plastic with a holographic foil sticker on the front. 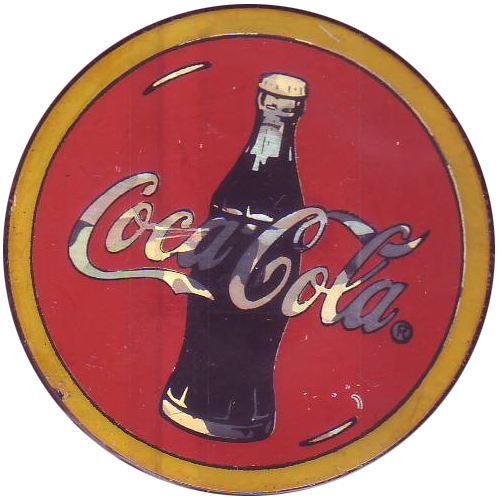 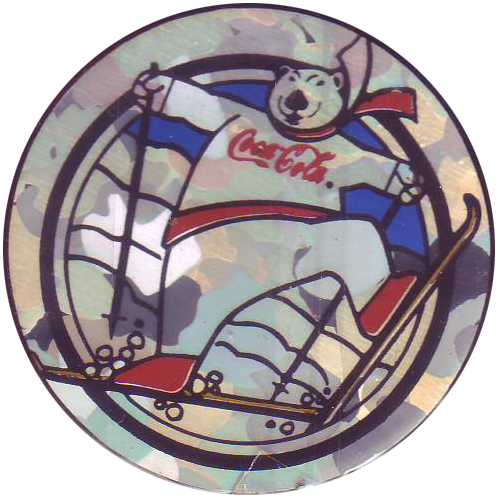 The stickers feature various Coke related designs such as a giant ice-cube surfing on a Cola-Cola branded surfboard. 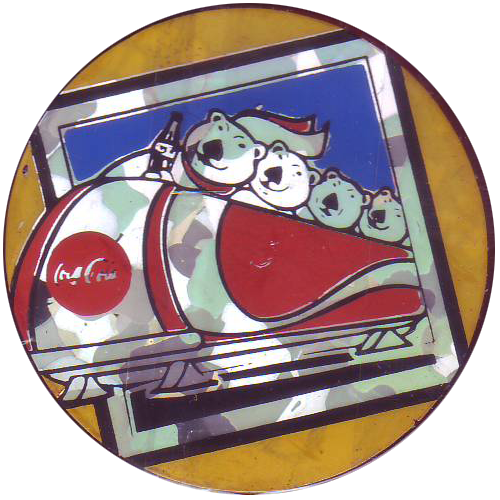 Thanks to Danjamin for scans of the full set below.